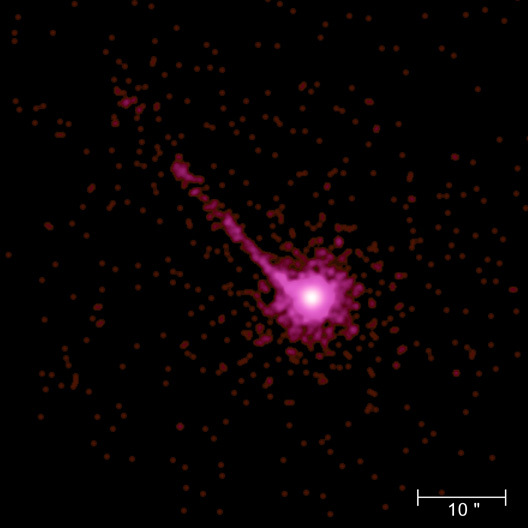 On their way to Earth, the X-rays from PKS 1127-145 pass through a galaxy located about 4 billion light years from Earth. Atoms of various elements in this galaxy absorb some of the X-rays. 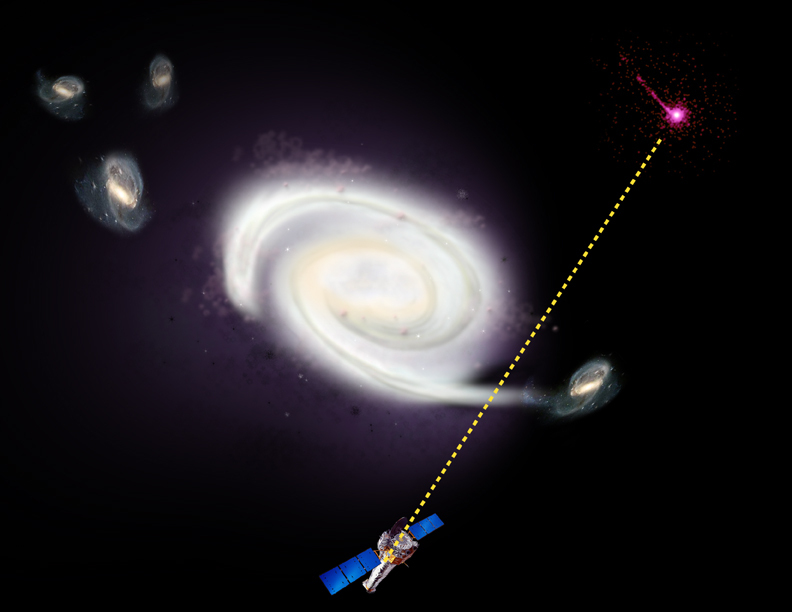 By measuring the amount of absorption, astronomers were able to estimate that the intervening galaxy contained only about 20 percent as much oxygen as our Milky Way Galaxy has now. 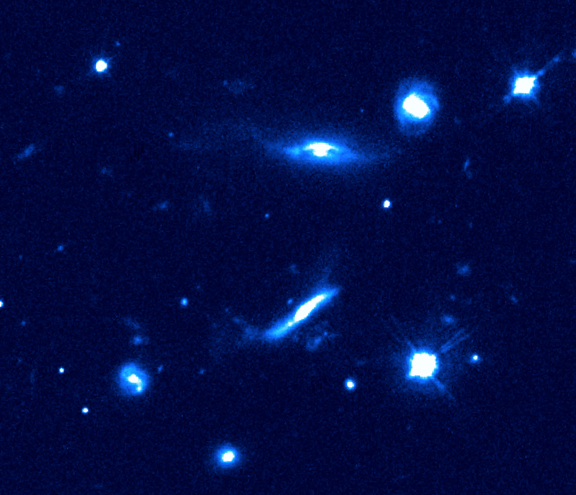 This image of the region surrounding quasar PKS 1127-145 and its jet was obtained by the Hubble Space Telescope. Scale: Image is 40 x 32 arcsec. 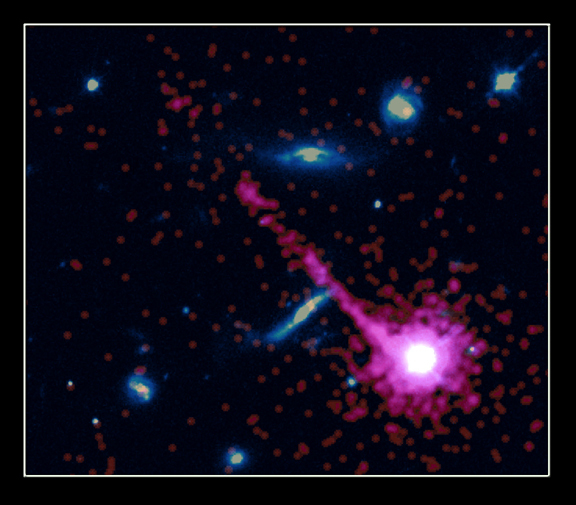 This composite overlays the Chandra and the Hubble images on top of one another. 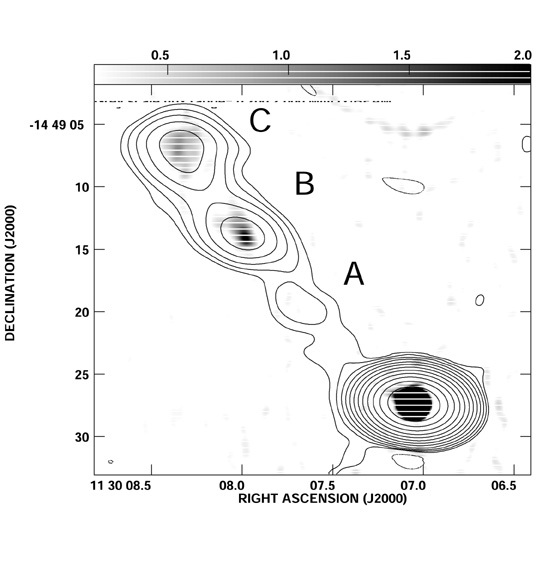 This composite shows the same field of view in the optical (left) and the X-ray (right) observed with Hubble and Chandra respectively. Scale: Images are 40 x 32 arcsec. 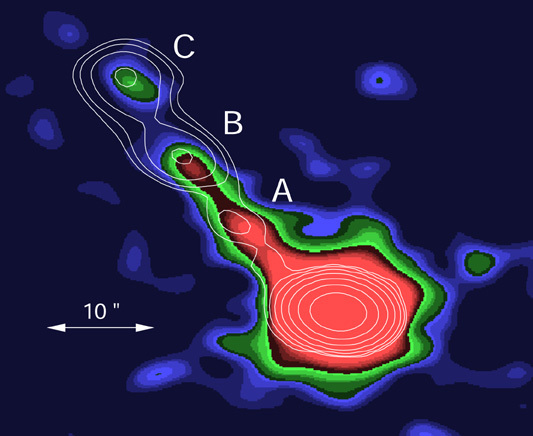 Overlay of Chandra image (in color, smoothed to the same resolution as the radio data) with radio contours (VLA 1.4G~Hz).